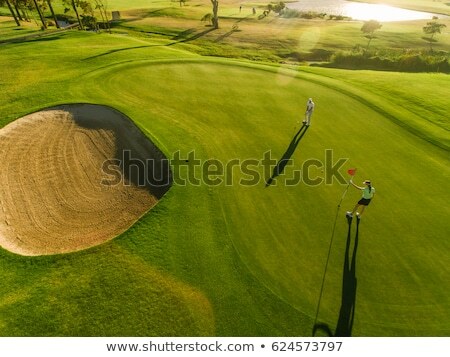 Сток-фото: мяч · для · гольфа · женщину · клуба · гольф · весело / Golf fun. 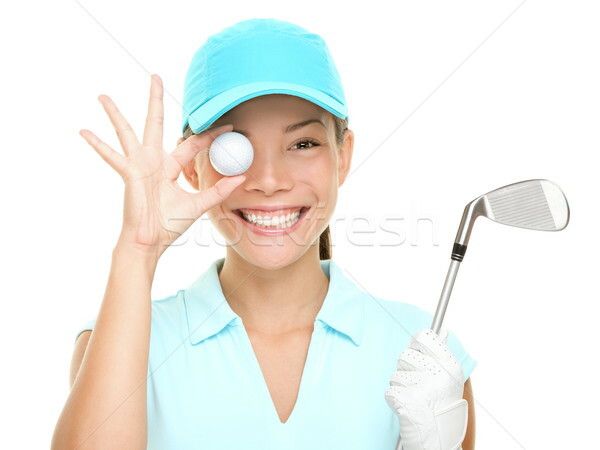 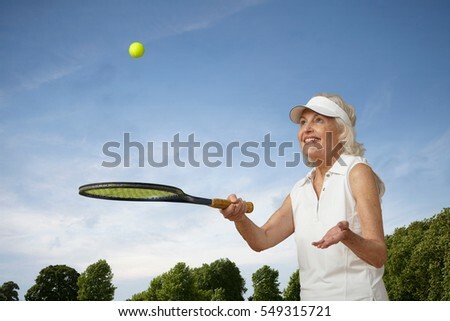 Happy woman golf player showing golf ball holding golf club. 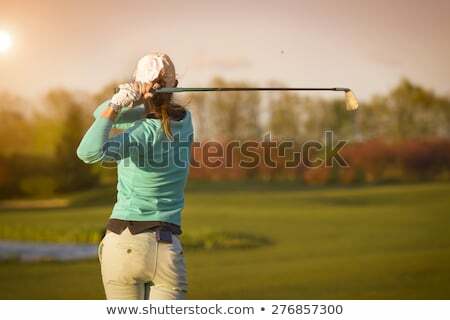 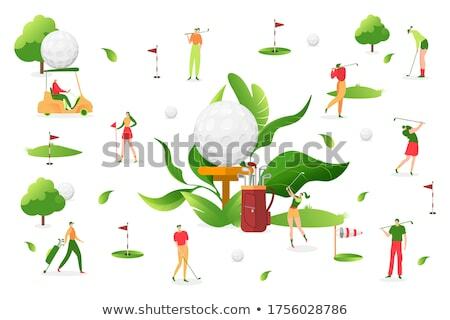 Funny cute image of Asian Caucasian female golf player isolated on white background.